Hair Innovation was designed by Keita and Jennifer Yamasaki, when a combination of fate and good timing inspired them to combine their two cultures, strengths, and dreams into a joint project. The resulting salon is an 'innovative' blend of fashion, style, and creativity. The menu includes organic color, care and styling options. Hair Innovation also strives to achieve sustainable business practices. After falling in love with the location along the main canal in Matsue, the interior was designed in 'Industrial Chic' to complement the original building with its concrete walls, hardwood floors, and spiral staircase. The first floor is the reception and waiting room, while the second floor salon features a sweeping view of the canal and an eye-catching chandelier. The salon offers both conventional	and	organic	products with emphasis placed on style, technique and product performance. Protecting the environment is important which is why Hair Innovation features 'ESSENSITY' by Schwarzkopf. 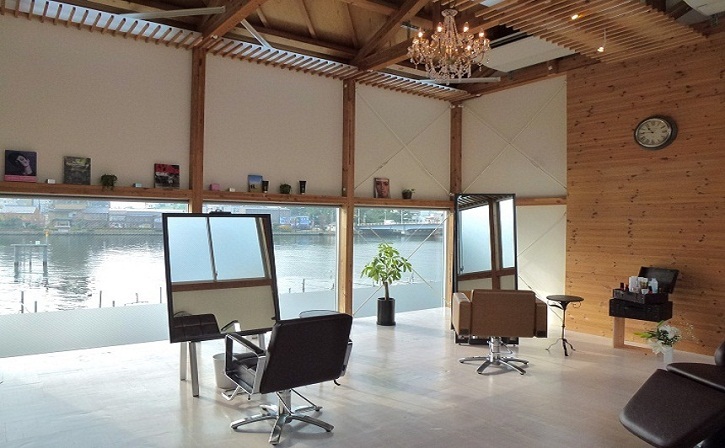 Come enjoy a beautiful view of Matsue, relax and have an 'innovative' hair care experience. Menus and information are available in both Japanese and English! Keita Yamasaki is an experienced stylist who trained in Tokyo. 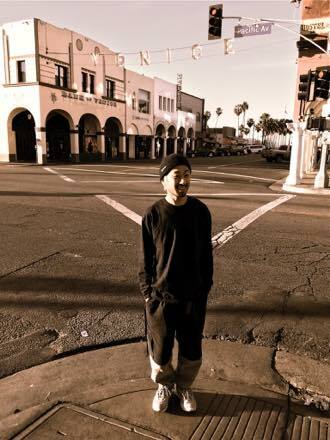 He worked as a stylist for several years there before returning to his hometown, Matsue. His design philosophy is to create 'innovative' looks that complement each person's individuality, fashion and lifestyle. It is also important to him that the client is able to easily replicate the look at home so he offers useful styling tips. In his free time, he plays futsal and soccer, and skateboards when it's sunny. Jennifer lived in Portland, a beautiful city in Oregon, before relocating to Matsue. She welcomes clients and enjoys chatting in either Japanese or English, but is still perfecting her Japanese so please forgive her mistakes! She is passionate about the environment and loves organic products, so she uses and recommends 'ESSENSITY' by Schwarzkopf. She has a degree in Journalism and also edits academic papers. She enjoys reading, crafting, and cheering on Mr. K at futsal games. Copyright (C) 2012 HAIR INNOVATION All Rights Reserved.